Meanwhile, the Bahamas Ministry of Tourism has released a new statement pushing back on rumors. In other news, the Bahamas Ministry of Tourism have issued a new statement pushing back on rumors about the island of Great Exuma, where Fyre Festival was supposed to take place. “Exuma is one of the most beautiful and developed islands in The Bahamas," the Ministry's statement reads, "and we in the Ministry are so disappointed that there have been false claims surrounding the island." 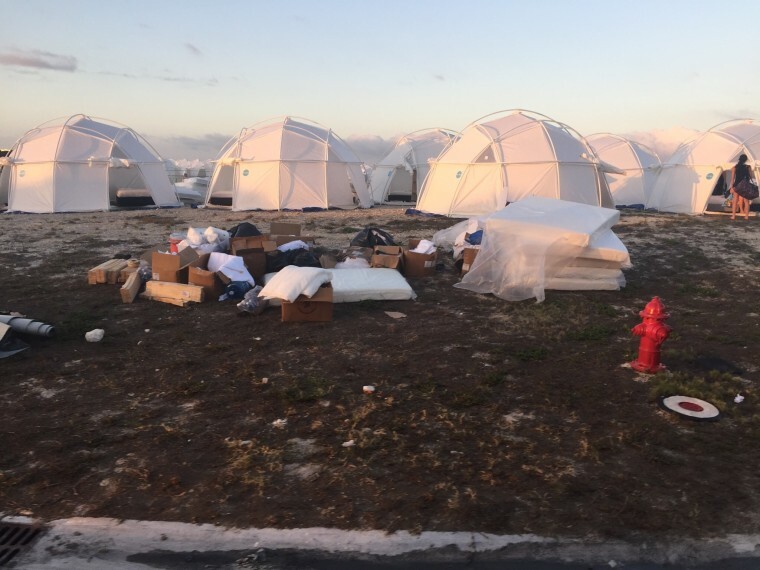 After the festival's collapse, Fyre Festival co-founder Billy McFarland attempted to shift some of the blame onto the islands themselves. "The Exumas didn't have a really great infrastructure — there wasn't a great way to get guests in here," McFarland wrote in a statement for Rolling Stone. "There wasn't water or sewage." "The infrastructure on Great Exuma is second to none," the Ministry's statement countered. It goes on to describe Fyre Festival's location as "in an undeveloped subdivision community in Roker’s Point... directly opposite Grand Isle Resort and Spa and Sandals Emerald Bay." The Ministry of Tourism also claim that many of the festival vendors have not yet been paid, though McFarland has assured them that they will receive payment. Lastly, look at this meme 50 Cent posted on Sunday. It's a reference to the Fyre Festival and its co-founder, 50's longtime rival, Ja Rule.